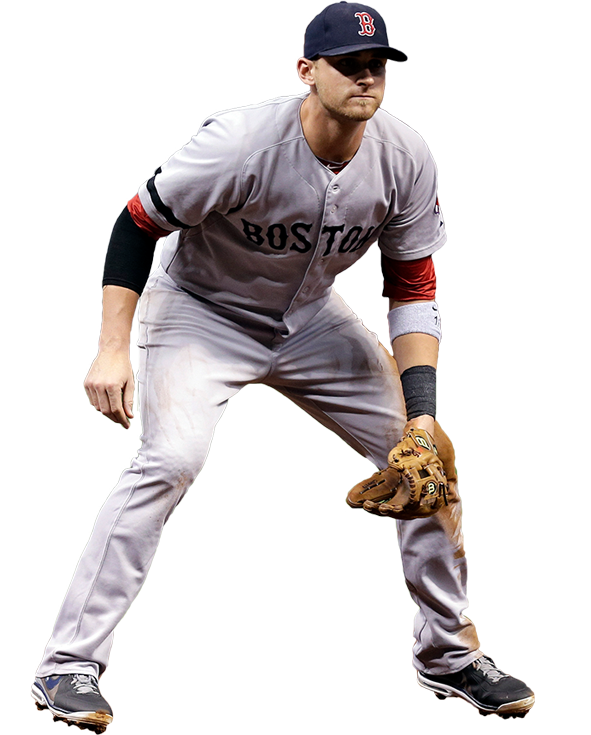 Middlebrooks wears the 11.75″ G5, a single post reinforced web that you can only get through WilsonCustomGloves.com. The G5 is a quarter inch bigger than the middle infielder’s G4. Unfortunately, you can’t create Middlebrook’s all black with red logos on Wilson’s builder, but you can throw red laces on it and that should work. Middlebrooks doesn’t wear these often, opting instead for eye-black on most days. From what we could tell, he wears all-white straight stems, though we couldn’t be certain of the lenses. You can get your own at Oakley’s Custom Builder, or get some non-customs at the link above. 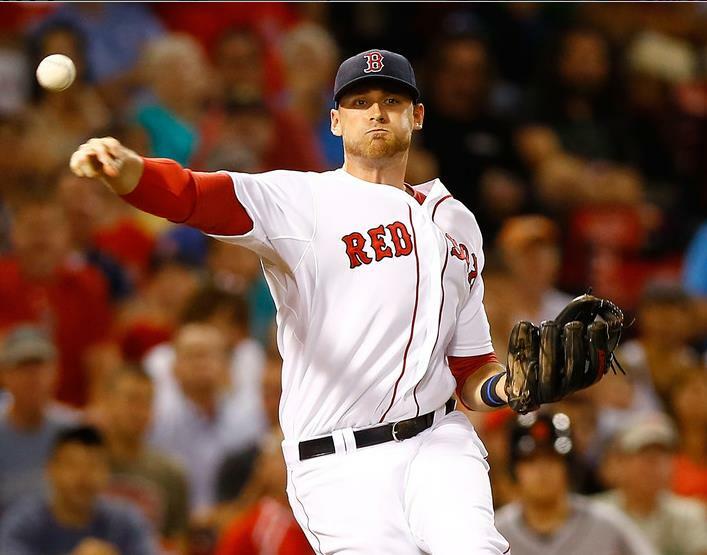 Middlebrooks also wears a Boston Strong bracelet as you see below. We couldn’t find one like his for sale, but you can always hunt. Also notice the Louisville Slugger U47. 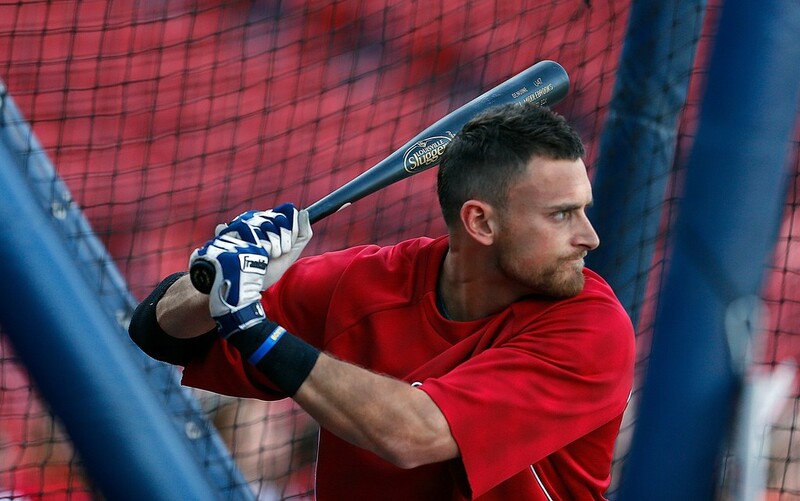 middlebrooks uses a custom 1786, pro I web, not single post. Actually, you can make his glove on the glove builder.